What an amazing year 2018 has been! I just came back from the MND Drive, such a special event for so many people… My two sons, Darcy and Ned came along with me to support Neale and his fight with MND. It was a cracking event, commencing at the Government House where The Honourable Daniel Andrews MP and Governor of Victoria, Linda Dessau set us all off in grand style. The drive wound through the western district of Victoria to the Coonawarra region in South Australia and concluded with a Woodstock-themed event in Geelong . 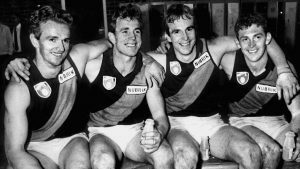 This year’s Daniher’s Drive was an incredible success, the most successful ever. 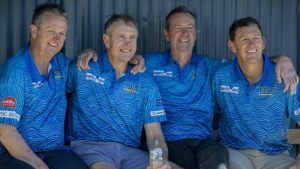 Fight MND were able to reach the magical milestone of $2.5million – which will be immediately committed to funding ongoing research to find a cure for MND. What a brilliant effort – well done to all! Now, more about our business! 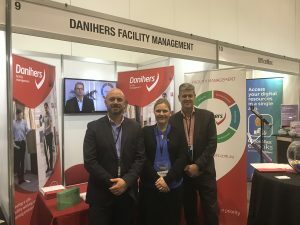 Danihers have successfully obtained two new Facility Management contracts, one being Nazareth College in Noble Park and the other is at the Essendon Football Club. We are proud to be expanding our client network and we welcome them to our Danihers family. We are also proud to announce success in continuing the cleaning contract with Mentone Grammar, our longstanding customer. We look forward to many more years at Mentone Grammar and we thank our wonderful team in all they do in keeping this school looking magnificent. Recently, our team attended CEBA conference in Adelaide; they felt welcomed by the organisers of the event and Business Managers alike. The event was a success with inspirational speakers, such as Anna Meares who shared her life achievements and her dedication in fighting MND, a cause close to all our hearts. We also welcomed back Lauren Andrews into our Danihers family. Lauren has come back as our Strategy and Engagement Manager. Finally, we celebrated Thank Your Cleaner Day on Wednesday 17th October. 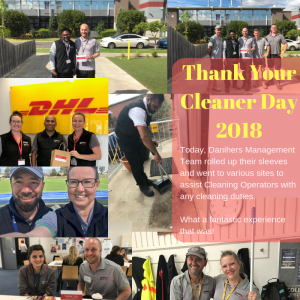 Our Management Team committed half of their day to get out of the office and assist cleaning operators at various sites with any tasks needed. Amazing stories came out of this day, and we thank all the staff for their contribution and our clients in joining their efforts in making this day so special. We thank our cleaner operators once again for all the hard work they do in making all our sites and clients happy.